Sell France Property for free - advertise your property in France for free. Languedoc Roussillon France property - a selection of property for sale in Aude and Languedoc-Roussillon in South France - properties include bungalows, apartments, houses and land. A mixture of private sales and sales through estate agents. 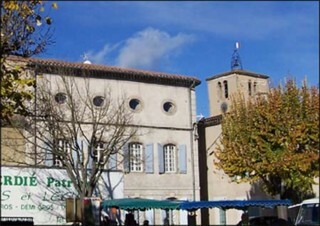 Property buying guide for Aude and Languedoc with Properties and information about the Aude. Aude Vallees Immobilier have all types of property, many that need total restoration. avimmo.fr. Francophiles A searchable English database covering properties throughout France francophiles.co.uk. French Property in Languedoc Roussillon A list of properties from various estate agents in french-property-news.com/fpn/languedo.htm. Blue Homes Houses, apartments and even vineyards throughout Europe bluehomes.com/. Harrison Stone French properties mostly in the upper price range harrisonstone.co.uk. Houses for sale in France Beautiful properties for sale in France. Browse a wide range of houses, villas and apartments throughout France. Let us help you find the home of your dreams. Cathare Immobilier in Couiza have a friendly English speaking lady and a good selection of properties in Aude cathareimmobilier.com. Property is located in Couiza, Quillan, Limoux, Esperaza, Carcassonne, Perpignan, Rennes les Bains, Rennes le Chateau in Aude, Languedoc Roussillon, South France. Compare airport car parking Airport Parking at all major UK airports including Gatwick, Manchester and Heathrow. Save by booking your airport car parking online for immediate confirmation. Relocate to France Property search company who also help with admin and provide useful information if you're considering moving to France. relocatetofrance.com.